The mountain is a symbol which frequently occurs in religious traditions. As an ancient symbol, it means proximity to heaven and to God. Many mountains were therefore formerly a place for cults and chapels. 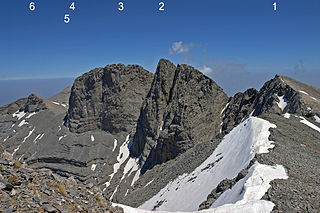 The Olympus and the japanese Fudschijama are considered as dwellings of the gods. Zeus was according to legend born on the mountain Lykaios(Lykaion : Place of light). The indian Arunachala is considered a holy mountain and as the embodiment of the Shiva-Linga. 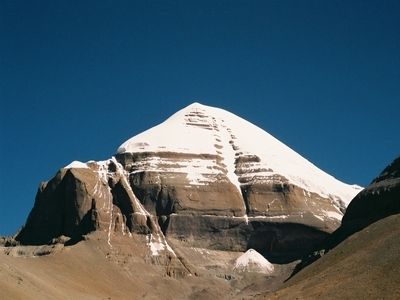 The mountain Kailash and the Himalaya are considered to be Shiva's home. The Kurma turtle carries the mountain Mandara (Meru) at the stirring of the milk-ocean. 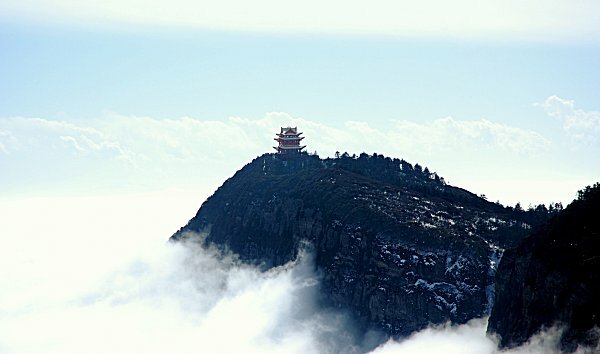 Der Wutai Shan (Qingliang Shan) applies in chinese Buddhism as the holiest of the four sacred mountains Jiuhua Shan, Emei Shan, Putuo Shan und Wutai Shan. According to the legend the Bodhisattva Samantabhadra flow on the Emei Shan on his white three-headed elephant. On the Sinai (U.Path 14) Jehova gave Moses the 10 tablets of the law. On the mountain Horeb(U.Path 16) Moses died. The Mount Zion near Jerusalem is considered the home of the glory of God. Mount Carmel is the winery of God. Jesus proclaimed the mountain-preaching, was transfigured on a mountain and died on mount Golgotha (Skull site). The mountain is also a symbol of the inner path to God. The well-known mountain Meru stands as a symbol for the most diverse states of consciousness up to the top of the Samadhi. The house at the mountain stands for the Nada or Pranava or Shabda. 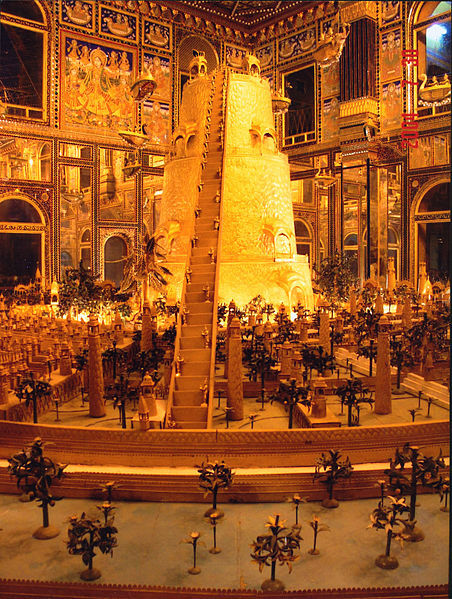 The Zarathustras Avesta mentiones the mount Hara Barzaiti, which surrounds the world. The stars, the moon, and the sun revolve round its summit. According to Sri Aurobindo (Letters on Yoga) stands the mountain of the vision for the ascending hill of existence with the divine to be reached on the summits.